Home / Press Pass / News / Press Pass Winners Alice and Rebecca! Press Pass Winners Alice and Rebecca! 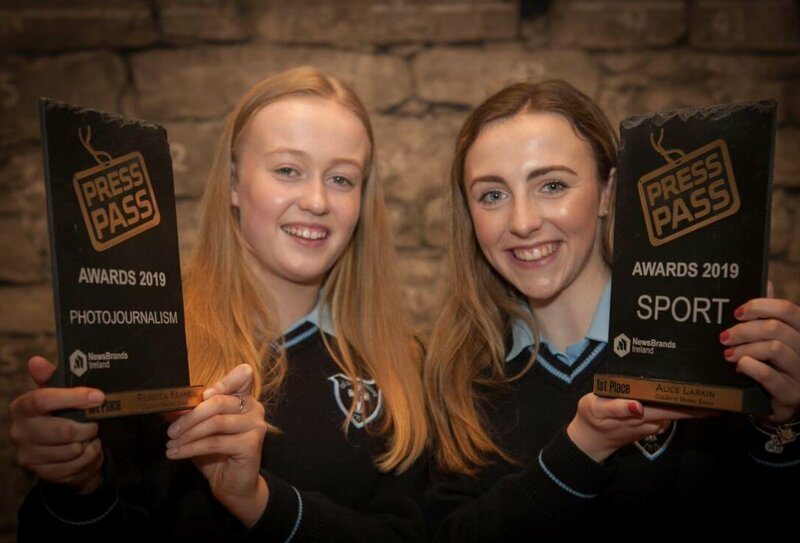 Congratulations and very well done to Transition year students Alice Larkin and Rebecca Keane, who were announced as category winners in the Press Pass Student Journalism competition. Well done also to their teachers Ms Kate Minogue and Mr Richie Hayes. The popular competition element of the Press Pass Programme drew hundreds of entries from across the country with students entering original pieces across five categories – News, Opinion, Features, Sport and Photojournalism. Rebecca’s entry was in Photojournalism while Alice’s entry was in Sports Journalism. Over 10,000 Transition year students took part in the Press Pass Programme, which develops news , literacy and critical thinking skills while helping students to develop a deeper understanding of news media and how it communicates about the world around them.